Bringing online casinos into the modern world, Next Casino has been offering a sophisticated and unique gambling experience for the new and the seasoned gamer since its conception in 2013. From its wide range of games to its mobile app, Next Casino is a strong contender in the field of online gaming. It has a user-friendly homepage which leads you to the most popular games and the hottest promotions. Holding a Class 1 Gaming Licence under the Lotteries and Gaming Authority of Malta, players can be assured of a genuine and accredited gaming site when choosing Next Casino. It is available in many different languages including, German, Swedish, Norwegian and Finnish. Unique to Next Casino is their exclusive VIP program which starts unlocking new features for players right from the registration welcome bonus. Everyone starts as a New Member and, as they play with real money via bank transfer, they can earn Redemption Points to work their way up the ranks to Prestige VIP. As you progress to the higher levels using your Redemption Points, you unlock bonuses such as Free Games, Deposit Bonus, and cashback. There is also the possibility of exchanging your Redemption Points for bonus cash and a higher tier VIP status requires less points to redeem more money. No casino review would be complete without taking you through what casino games are on offer, and here there are plenty! Slots are the mainstay of any online casino worth its salt and Next Casino’s sheer variety is enough to set it head and shoulders above the competition. With over 190 video slot games to choose from, any player will be able to find something that sparks their interest. There are slots to rock out to, slots to laugh along with and slots for every season. They take a lot of pride in providing the glossiest video slots that feature polished graphics to make the gameplay pop. Next Casino offers table games for every type of gambler with cards such as Blackjack, Poker and Jacks or Better. The table games playthrough quickly so you can be sure your game isn’t hampered by lagging and the graphics really capture the look and feel of a casino game table. In their Live Casino, players have the option to play Roulette and Baccarat with real dealers to achieve that feel of genuine fast gameplay. Roulette comes in modes such as Immersive, French and VIP and Baccarat Squeeze is also available. 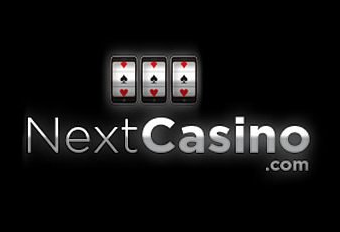 Special to Next Casino is a feature that is rarely seen in the mainstream online casinos. There is a wide selection of 30 of scratchcard games, to give the player instant wins! These fun, little distractions are the perfect way to build your cashpot back up quickly. Many games, more than many of Next Casino’s competitors, are available to play in demo mode, so you can familiarise yourself with new games before putting real money towards your bets. This includes slots, non-live table games and scratchcards. Next Casino’s games are all about quality with many casino games featuring highly rendered graphics to bring artistry and storytelling to even the simplest of games. It’s not surprising seeing that their software is provided by the likes of NetEntertainment, iSoftBet and Microgaming. Whether the animations are epic, CGI Video Slots or amusing, cartoony reels, gameplay is guaranteed to be smooth and exciting. Since 2014, Next Casino members have been able to take all their favourite games with them wherever they go with the NextCasino.com App. The app has a wide reach with availability on Android, Apple and Windows devices and can be accessed via all mobile internet providers including Safari, Chrome and Opera. The layout of games lends itself to the small screens of phones and tablets and lets the player find their favourite games with ease. If you are new to Next Casino, there is a lot to look forward to when you register for the first time. UK players can look forward to a welcome bonus which will see their money doubled up to £50 when they make their first deposit with a further 50 spins to play on Starburst added. The bonuses don’t stop at registration either. If you play for a second day, Next Casino will give you a 50% reload bonus on a deposit up to £50! This will send you on your way through their VIP program, so it is worth staying and playing. There are always promotions for existing players to get involved with, like the recent Play for your Holiday which announced its winner on 30th October. This generous offer had players collecting symbols in daily challenges to head up the leader board and win. The player with the most symbols at the end of the promotion was given a £2,000 voucher to put towards a destination of their choice. Those who missed out on the holiday are not losers though, as free spins were available throughout the promotion to those who collected the minimum number of symbols. Next Casino offers many payment methods, such as Skrill, Entropay and NETELLER, all of which support many different currencies. Nearly all payment methods are instant and many offer generous withdrawal times. When it comes to security, whether it is regarding your personal data or money, Next Casino utilises 128-bit Secure Socket Layer (SSL) encryption technology to ensure your information is protected before it leaves your computer. All players will learn that Next Casino is devoted to ‘CARE’ which stands for ‘Customers Really Are Everything!’ and they like to show this by providing lots of ways to get in touch with their customer support team. They are available 7 days a week from 06:00 to 23:00 GMT via email, live chat or phone. If you feel the need to contact customer support, it is worth looking at the extensive list of FAQs first which breaks down every query into easy-to-find sections.